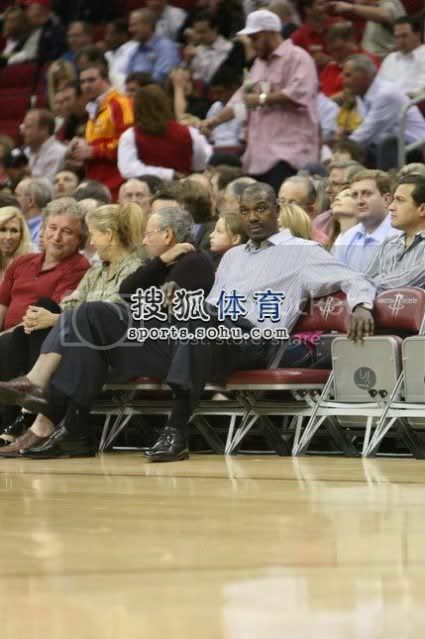 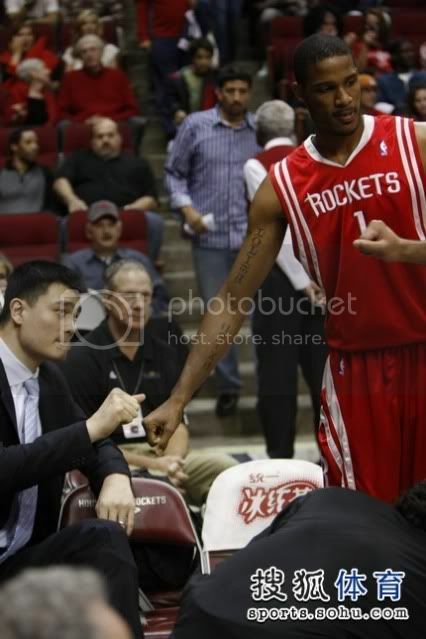 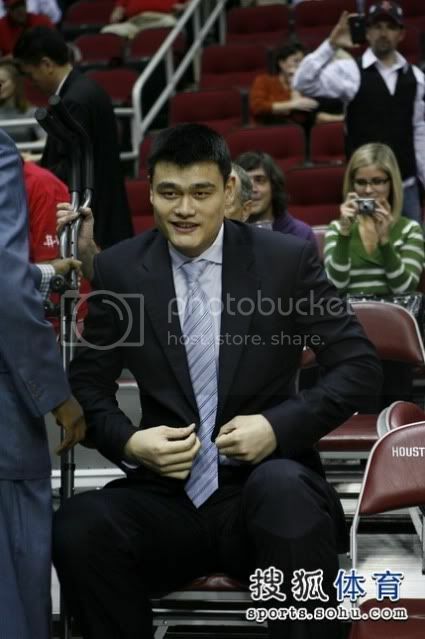 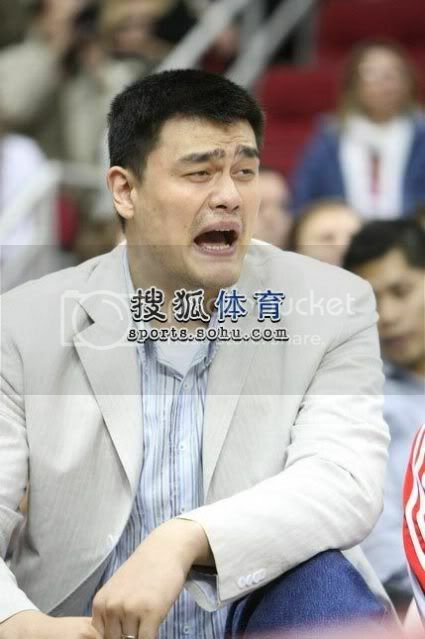 This is what Yao Ming posted on his Twitter !!! 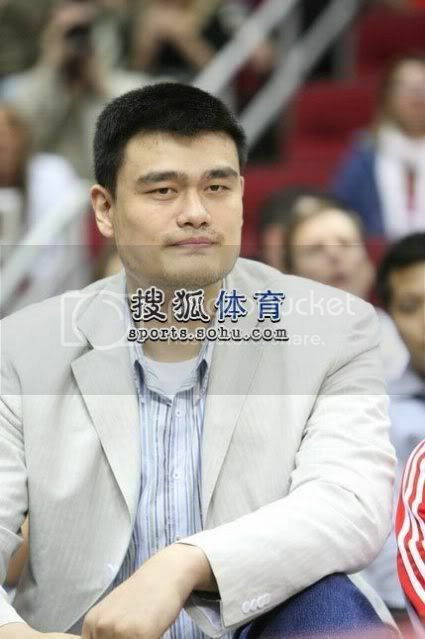 So he will be at tomorrow's game with Portland TrailBlazers at Toyota Centre, the Houston Rockets' first game at home court in the new season. 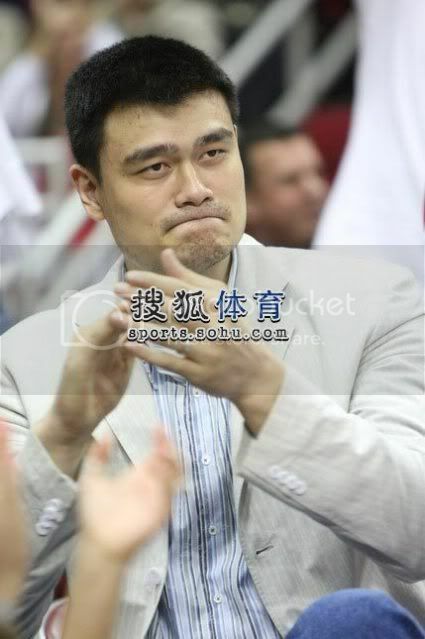 Stay tune as I'll follow up on posting photos of him at the court side cheering and raving support to his team mates. 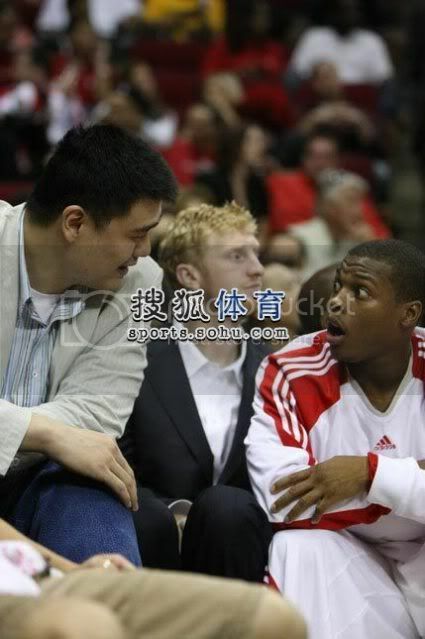 This afternoon I met with John from YaoMingMania. 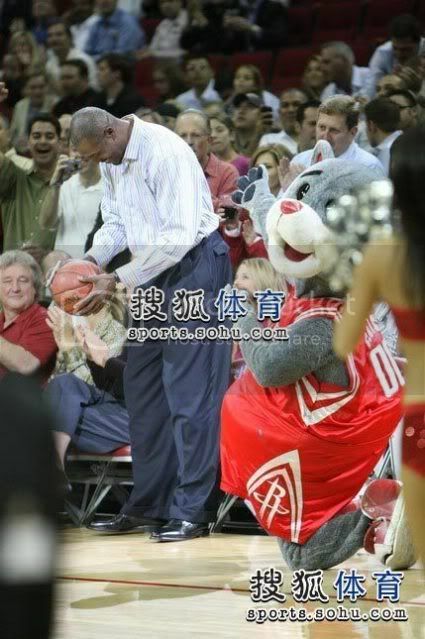 Tomorrow I will be at Houston's home opener at Toyota Center against Portland. 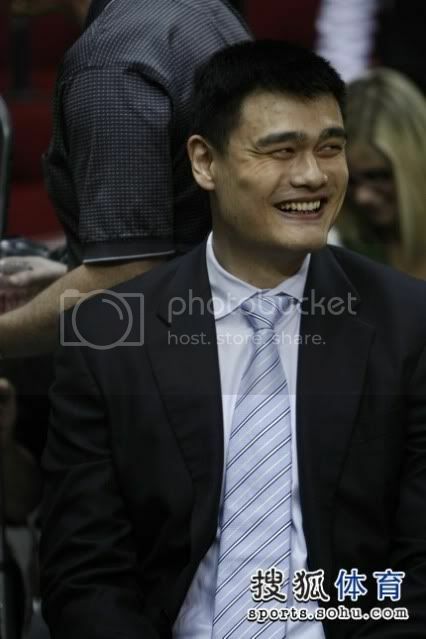 Yao Ming took his family to Toyota Centre to watch Houston Rockets' first home game of the season against Portland TrailBlazers. 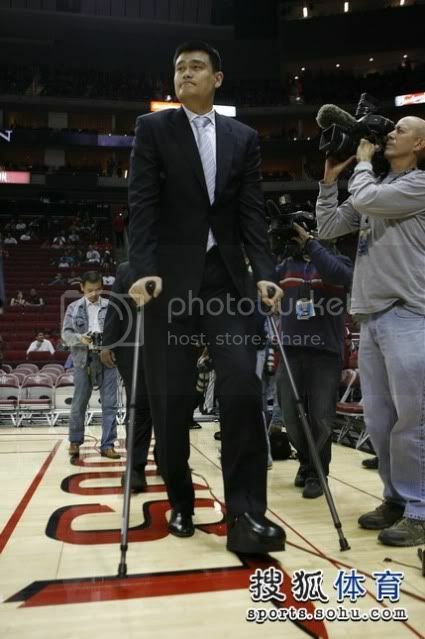 He was there pretty early, and went into the players locker room to say hello to his team mates. 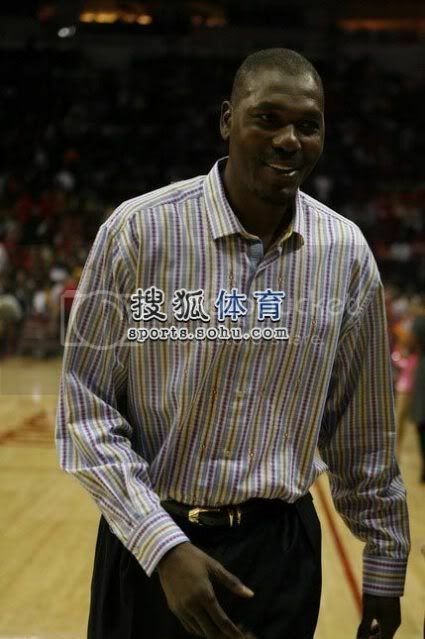 He then appeared on the court before the commencement of the game, to the roaring Toyota Centre home crowd, and took seat on the bench to cheer and rave support for his team. 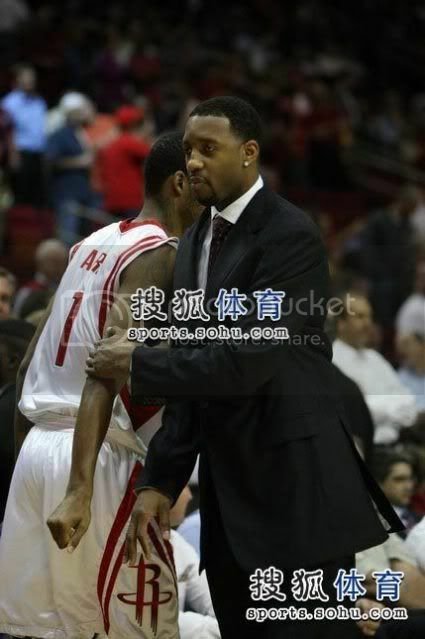 And the Rockets did him proud to win 111 vs 107 over the Portland TrailBlazers for the first win on home court, and improve to 2W 1L for the new season. 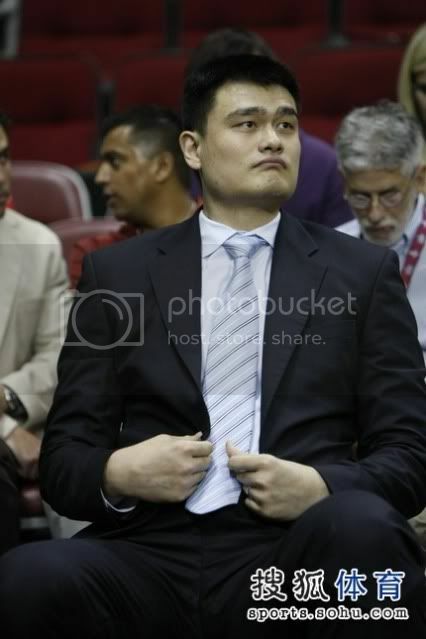 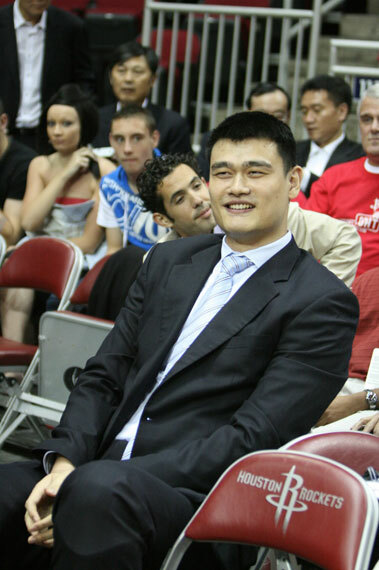 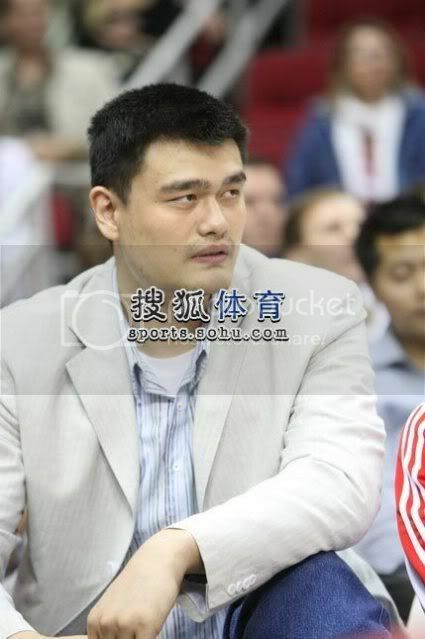 Yao Ming came to Toyota Centre again to cheer and rave support for his team mates in the game versus LA Lakers. 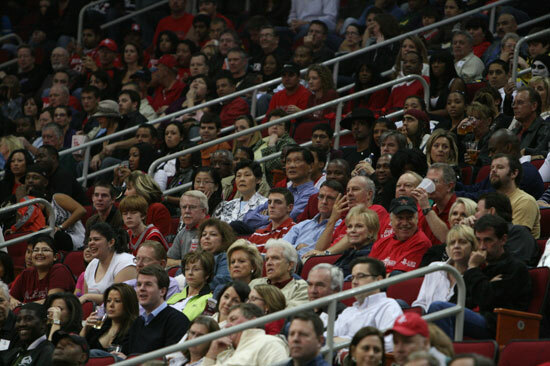 Hakeem Olajuwon and Tracy McGrady were there too. 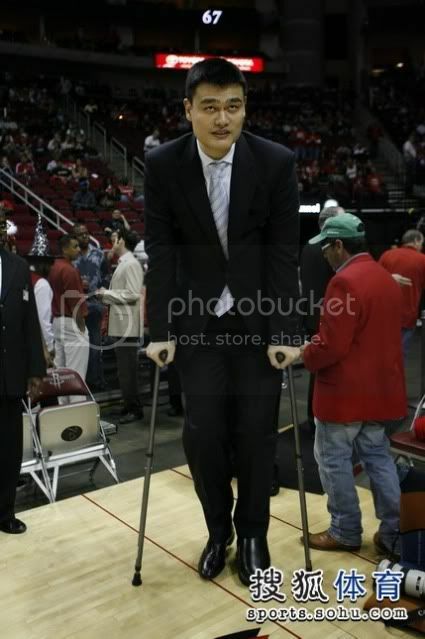 Despite of their presence, the Houston Rockets gave their all but lost a heartbreaker by one point in over time to the Fakers and missed the chance to go up to 4W 1L. 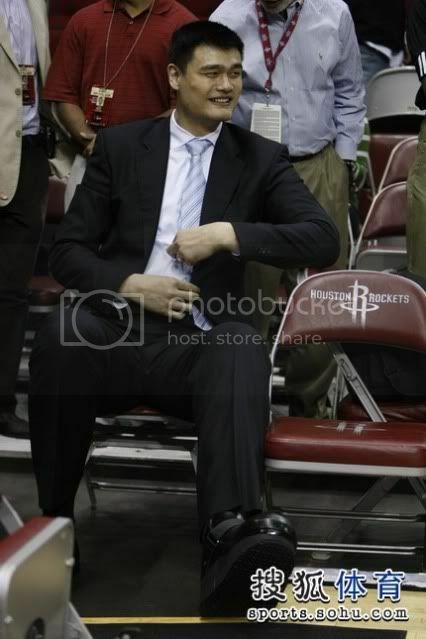 Yao Ming was in Toyota Centre yesterday (Saturday afternoon) autographing for the first 100 Rockets fans buying the new alternate jerseys of the Rockets. 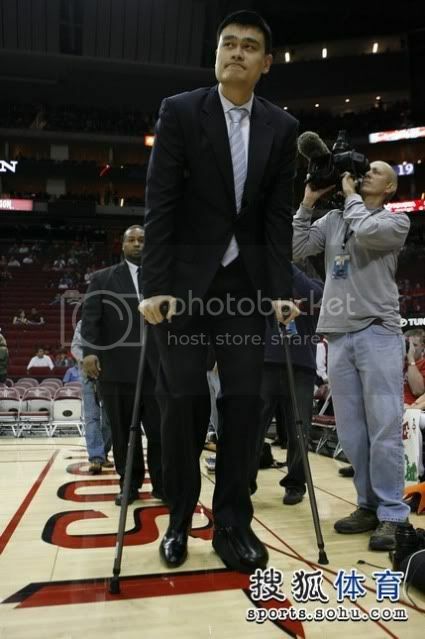 He received an interview and talked about his latest rehab status, and how proud he is for the new Rockets, and how sad and regretful that he could not play together with this energetic and exciting team.